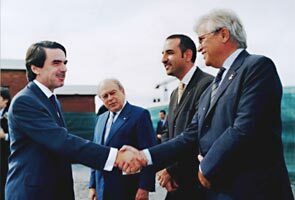 12) On October 10th, 2002 one of those symbolic acts that politicians love so much took place: the laying down of the first stone of the brand new third runway of the El Prat airport. A) What was the anticipated plan ? B) Who was present during this act ? C) How was chaos produced in the airport ? 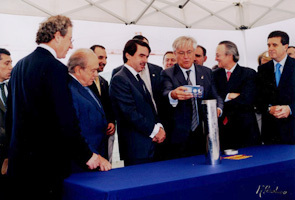 On October 10th, 2002 a commemorative act was planned to lay down the first stone of the third runway of the El Prat airport. Later it was also planned to visit the different environmental projects that were being developed in the Llobregat delta (the construction of a new purifier for sewage, the diversion of the Llobregat river and the expansion of the Port). 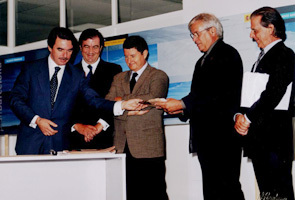 The act was to be presided over by the President of the Spanish Government (José María Aznar), the Minister of 'Fomento' (Francisco Álvarez-Cascos) and the General Director of AENA (José Eladio). 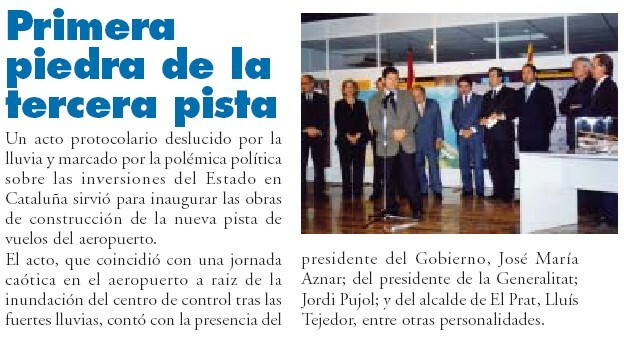 The President of the Spanish Government was to place the first stone. B) WHO WAS PRESENT DURING THIS CEREMONY ? - The architect Ricard Bofill, responsible for the remodeling of the current terminals and for the designing of the future south terminal. the President of the Spanish Government and the rest of the officials were left without being able to place the first stone in the location where they were to build the third runway since the land was completely FLOODED. The ceremony had to be done while covered! However, that was not all. The heavy rain caused a small river to overflow, flooding the Control Center thus bringing all air traffic to a standstill. In the Control Center they lived difficult moments because the water rose to the so-called technical floor; in other words, the area where cables and connections are found. Up to 8 fire crews were baling out water without much success until they found the source of the flooding which was a blockage that had formed in the small river, which was not letting the water pass. The firemen carried four machines over there to unblock the passage of water. For security reasons, the Catalan air space was practically closed for more than five hours generating chaos, which included the suspension of more than 100 flights. This together with the fact that the day before they had suspended more than 200 flights in the El Prat airport also due to heavy rains left a sad image of our airport. The facts of the story speak for themselves.